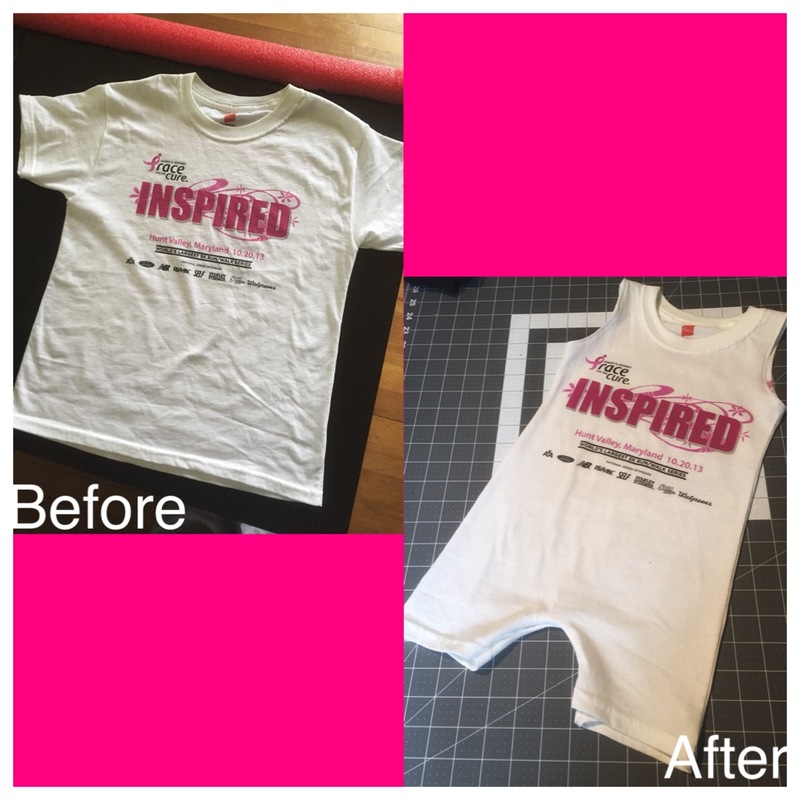 Ok, so, I’m all for staying up all hours of the night looking at various DIY pins on Pinterest… That, and looking at all of the cool things that fellow sewcialist sew and post in all of the Facebook sewing groups that I’ve joined… Big fun, right? 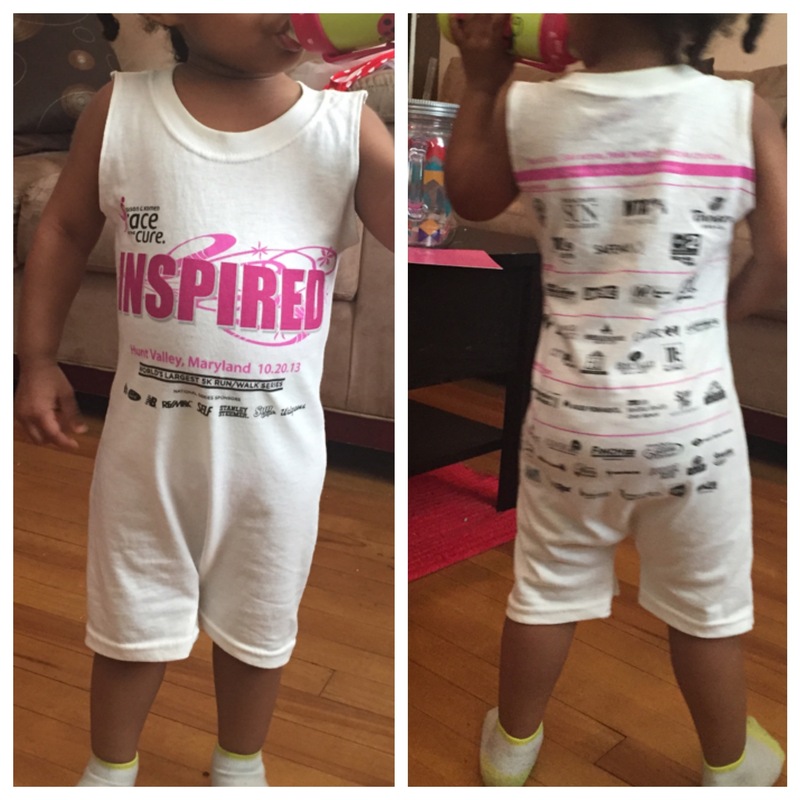 So, I saw this picture of these awesome t-shirt rompers and I was off to find a tutorial or pattern or something. 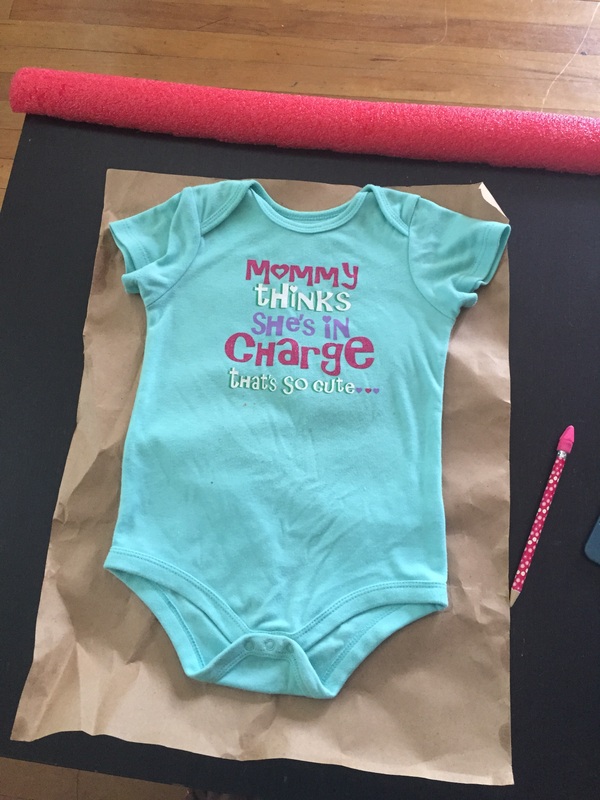 Now, I’m all for supporting the next Crafty Mama and I’ve bought several patterns from Etsy, but sometimes, I wonder if I can figure out how to do it on my own and save a few bucks… Enter Pinterest. 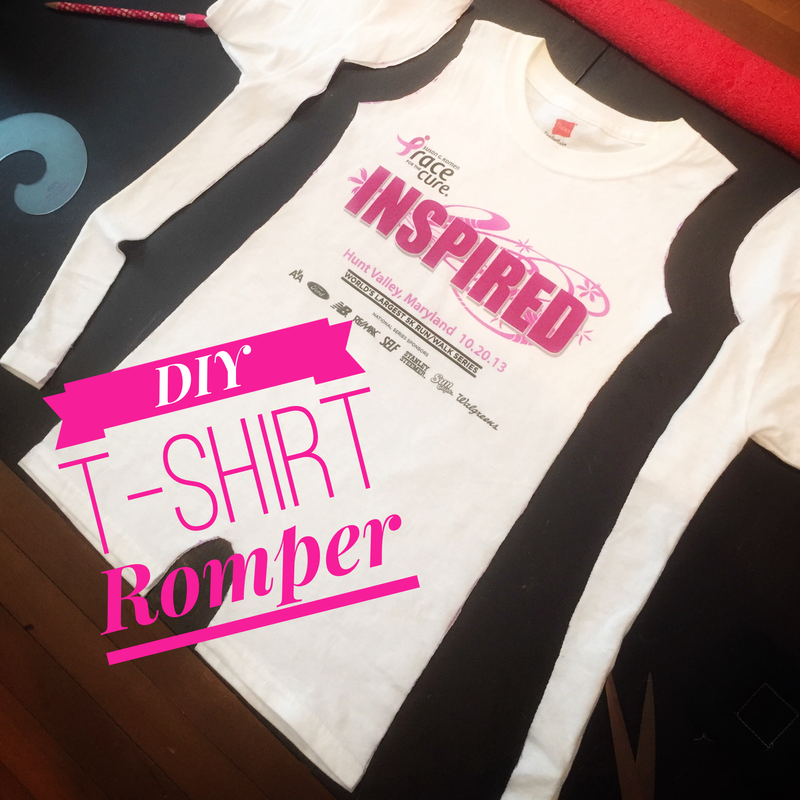 I searched for a DIY t-shirt romper tutorial and skimmed a few… I admit that I become really lazy when it comes to reading long tutorials, I admit to this as I type a long tutorial oh the irony, and I try to pick out the important info and look at the pictures… Ok, enough rambling… Here’s what I did. 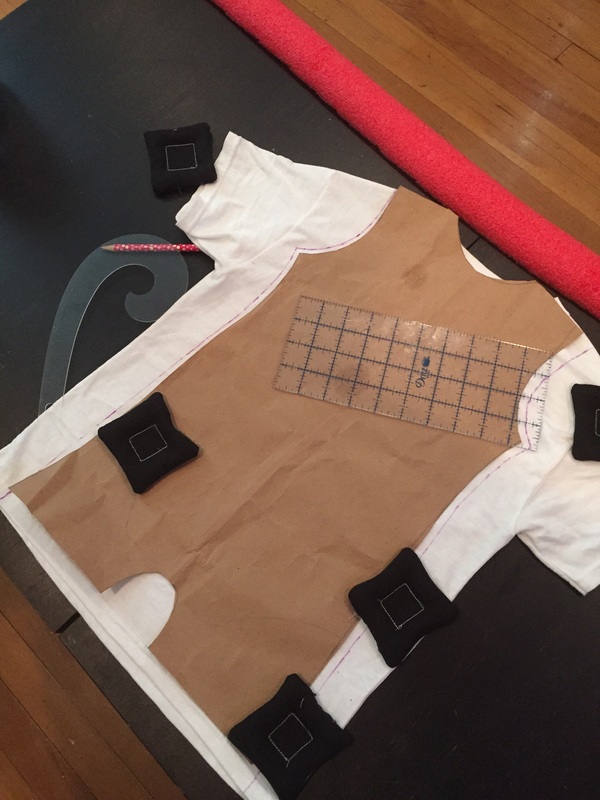 Grab some craft paper or something to trace your pattern on to and a onesie that currently fits your little. 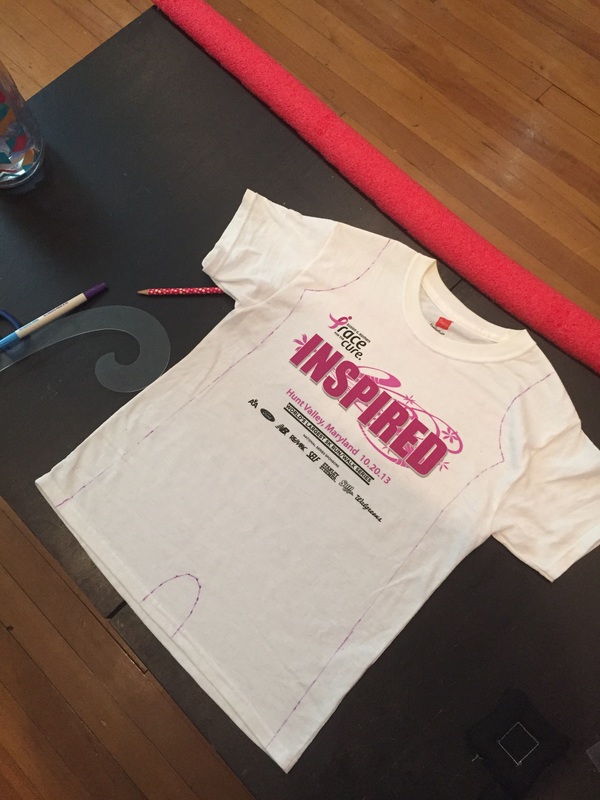 Straighten the onesie out as best you can and trace it onto the craft paper. Since my romper is going to be sleeveless, I folded my sleeves over and just traced around the stitching line where the sleeves were sewn on. Take a ruler and flare out your pattern so that the legs extend down to the end of the paper. You can always add length if using a longer t-shirt. Draw an upside down “u” for the crotch area. Lift up your onesie and fold your pattern down the center. Cut out your pattern along the traced line on the side of the craft paper facing you. 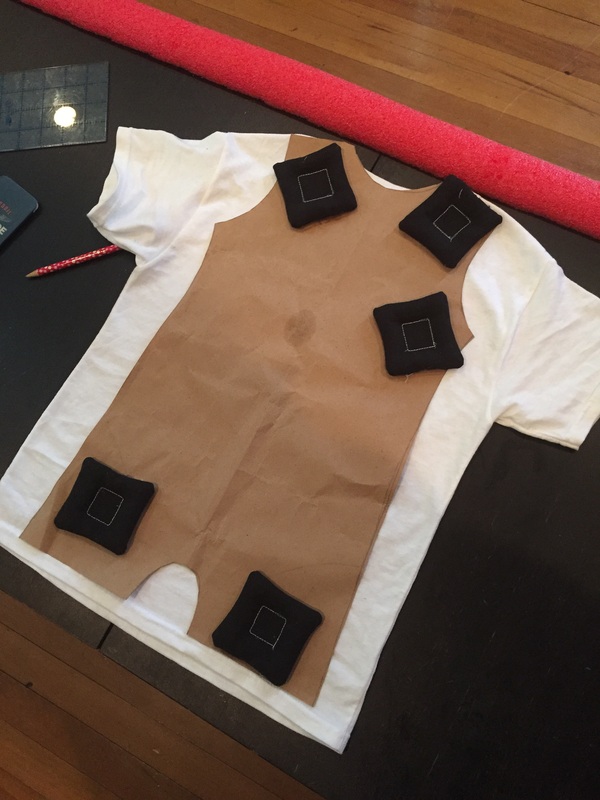 By folding it down the center and cutting out on one side you’ll have more of a uniform garment. 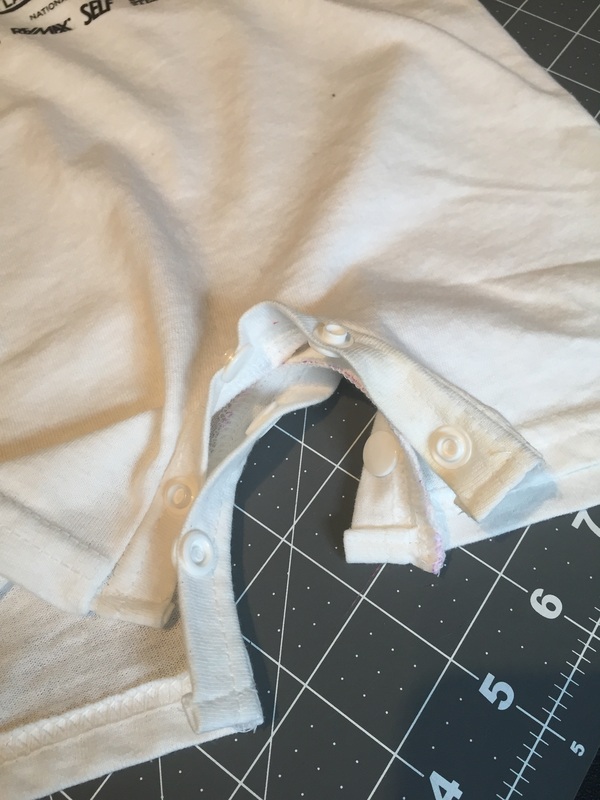 Lay your shirt flat on your cutting table or hard surface and center your pattern making sure your designs falls in the center of your romper. 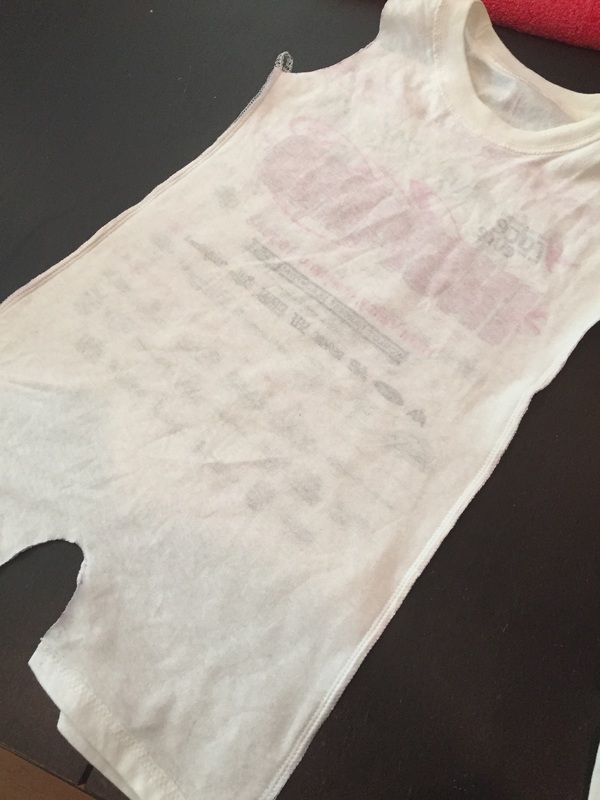 You will be using the original neckline of the t-shirt so there will be no need to cut and hem one. You will also be using the hemmed edge of the shirt for your legs so no need to hem there either. 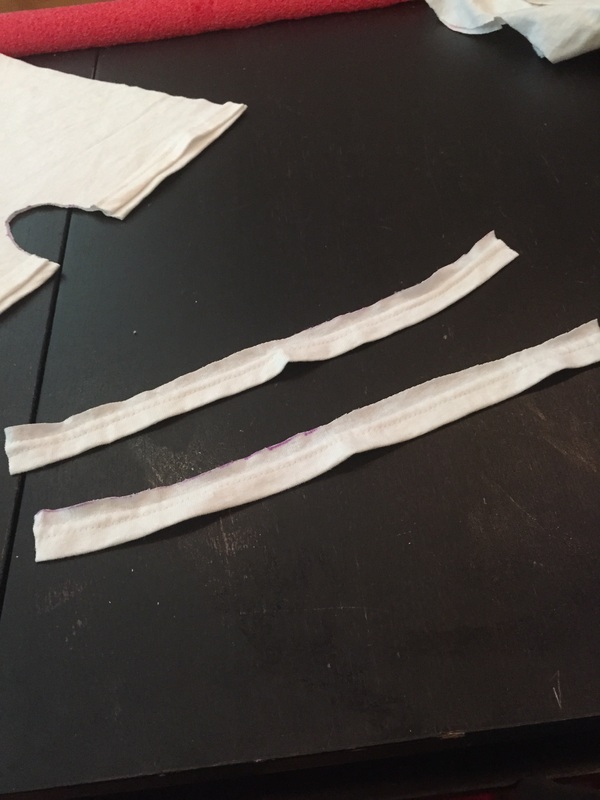 Cut around your pattern adding your seam allowance. I added a ¼” seam allowance here. Take your sleeves and draw a line ¼” above the hem line. We will use these hemmed pieces for your snapped crotch. Flip your cut out romper over so that you have right sides together. Line up your edges along the side and pin together. Using either a serger or sewing machine, stitch down the side of your romper. Do the same for the other side. Now, turn your romper right side out. 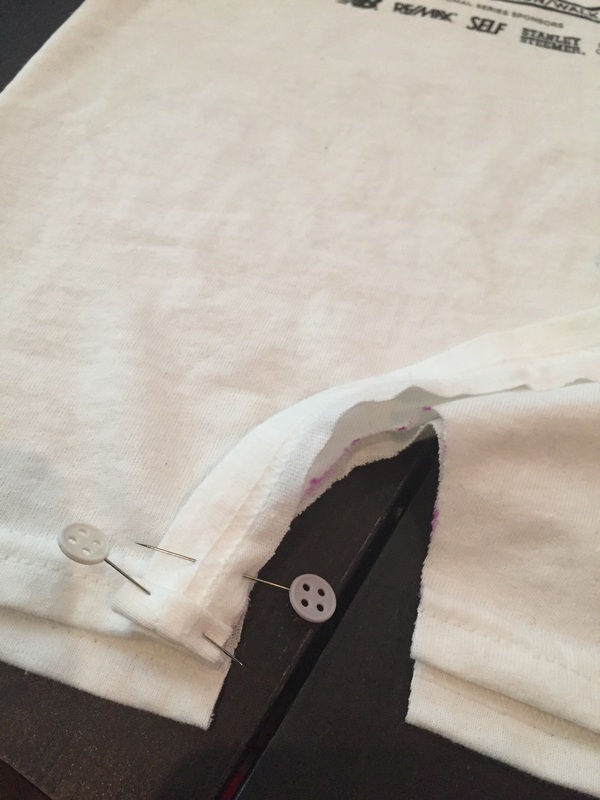 Taking one of your hemmed pieces for the crotch snap area, fold one of the short ends over about ¼” and then over a ¼” again, this creates a clean finished edge, and pin it to the bottom edge of one side of your legs. Pin the edges together all the way around until you reach the other leg opening. 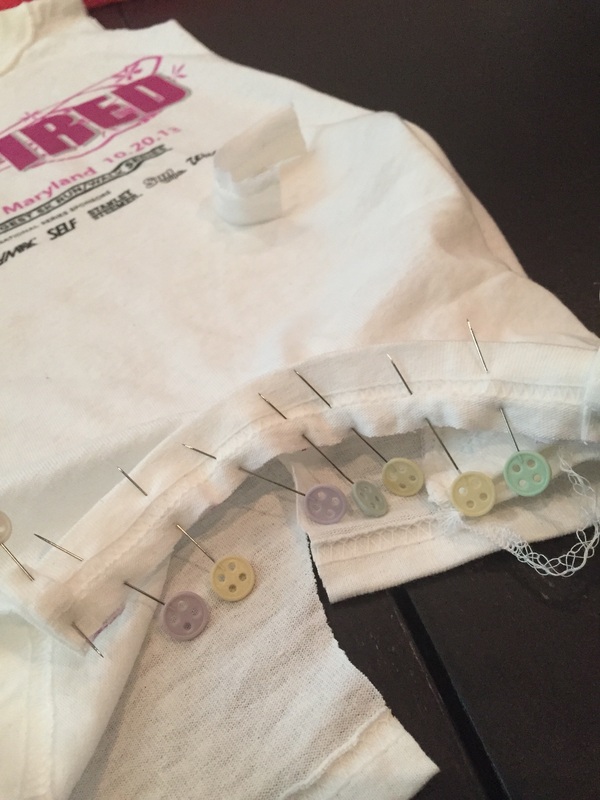 Trim your fabric and roll it ¼” twice like you did at the beginning and pin it down making sure your edges are all lined up. Sew pieces together. Repeat on other side of romper. 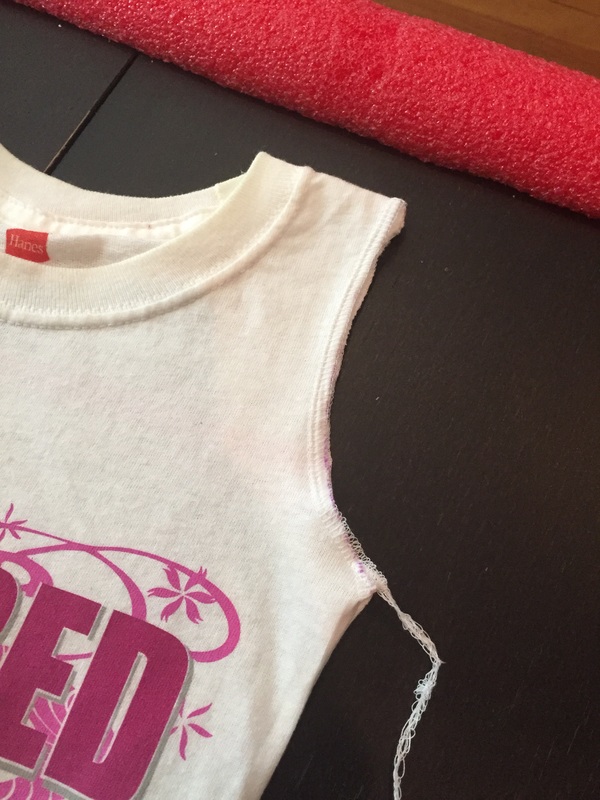 If you are using a serger, serge around your arm hole openings. Turn your serged edge under and iron in place. Then see around your arm hole using a 1/8″ seam allowance. 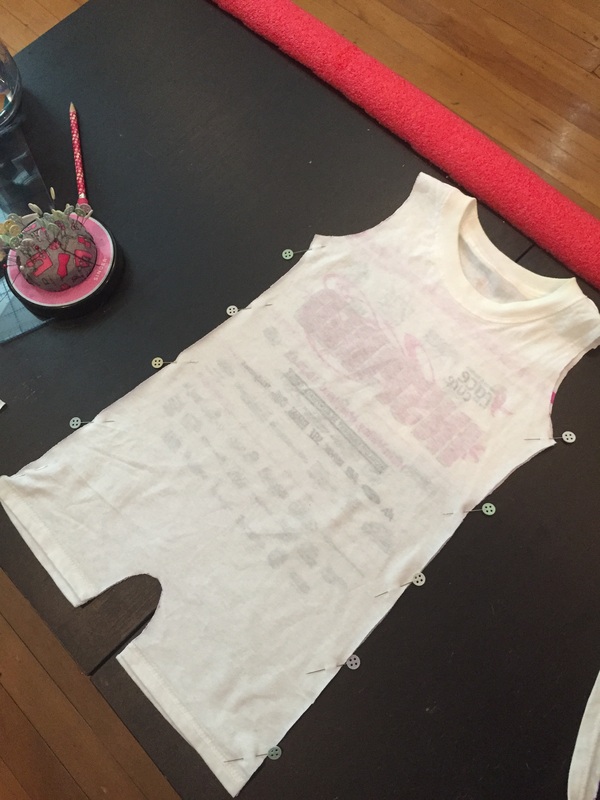 If you are using a sewing machine, iron arm holes under ¼” and then sew around armhole using 1/8″ seam allowance. For the snaps, I measured the length of the “u” shaped crotch and divided equally between four snaps. Mark your snap placement using a fabric marker and attach your snaps. 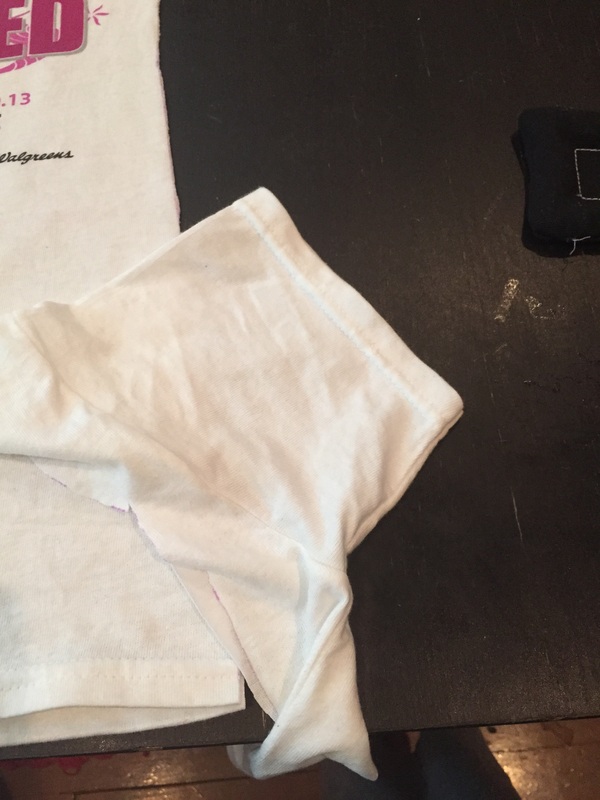 If you aren’t using snaps, skip adding the hemmed edging to the crotch area and just sew/serge the crotch area together using a ¼” seam allowance. 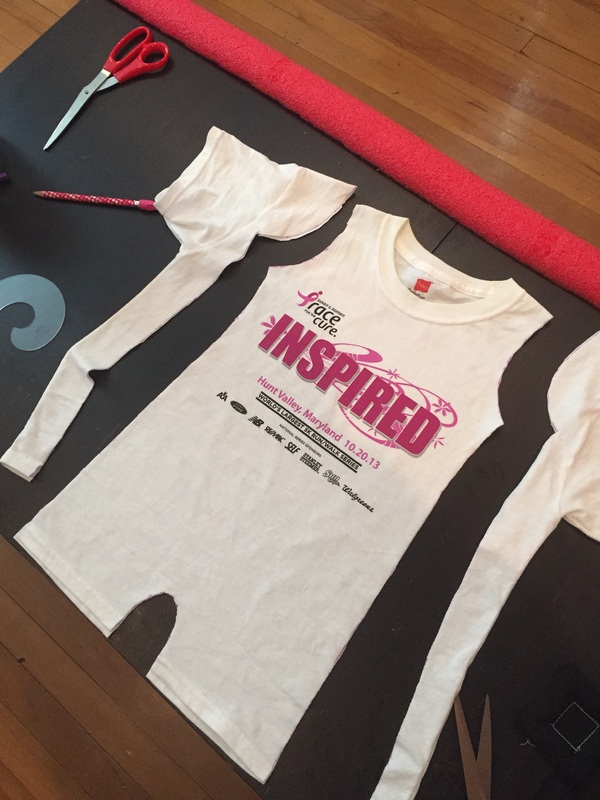 Cut all loose threads, slip this on your little person and marvel at your work!